The Tipo is boosting Fiat sales. The Spanish car market had its third consecutive year of double-digit growth in 2016 after sales rose 9.3 percent in December. Registrations increased to 96,886 last month, the ANFAC industry association said on Monday. Sales to individual customers were flat, while business registrations increased by 21 percent and sales to car rental companies jumped 38 percent helped by the strong performance of the country's tourism sector. 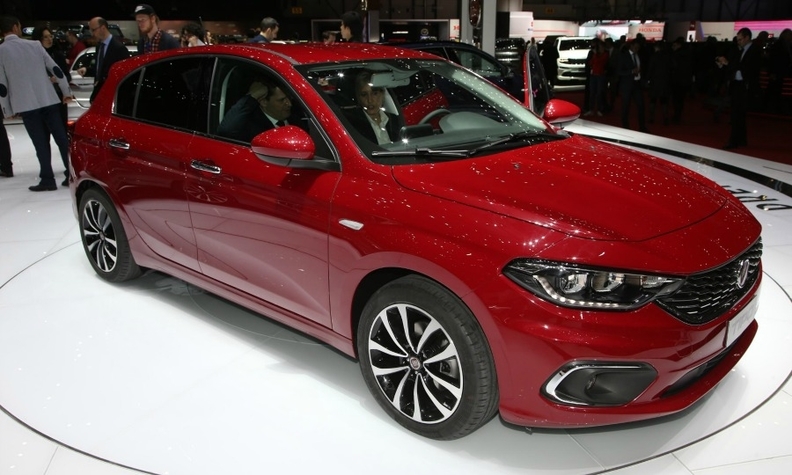 Fiat Chrysler Automobiles' gain far outpaced the market with Fiat brand sales jumping 36 percent, boosted by the new Tipo compact car. Alfa Romeo's volume grew 8.8 percent on sales of the Giulia and Jeep sales increased by 18 percent. Among Volkswagen Group brands, the core VW brand's volume increased by 7.5 percent and Skoda sales were up 19 percent, while Seat registrations plunged 23 percent. Seat's volume dropped despite the launch of the new Ateca SUV as sales of its best-selling model, the Ibiza, fell by 23 percent and its No. 2 seller, the Leon, plunged 55 percent. Seat has just introduced a face-lifted Leon while the new Ibiza will debut at the Geneva auto show in March. In the PSA Group, Peugeot's volume was up 3.6 percent and Citroen sales grew 6.3 percent, while DS registrations fell 55 percent. French rival Renault sales jumped 55 percent last month, helped by the new Megane's roll out and higher sales of the Clio and Captur models. Download PDF, above right, for Spain sales by automaker and brand. Hyundai sales fell 4.7 percent while Kia's volume was up 11 percent. Toyota brand sales grew 15 percent, Nissan registrations gained 5.5 percent while Mazda sales dropped 18 percent. Suzuki's volume was up 54 percent and Mitsubishi sales jumped 67 percent. Among premium brands, Audi sales jumped 38 percent last month and BMW's volume gained 21 percent. Mercedes-Benz trailed its German rivals with a 3.7 percent increase. Porsche sales almost tripled to 211 units and Volvo's volume gained 20 percent. Jaguar registrations were up 9.2 percent and Land Rover sales grew by 6.2 percent. Ford sales dropped by 11 percent while General Motors' Opel brand registrations rose by 27 percent. Spain's full-year registrations were up 11 percent to 1.15 million, buoyed by business and rental sales, which increased 16 percent and 17 percent respectively. Private sales rose by 6.7 percent. The Spanish market, Europe's fifth-biggest, grew by about 20 percent in 2014 and 2015 after falling below 700,000 units in 2012, the worst result since the start of statistic collection in 1989.